How, how much and when will (different types of) technology impact my business, and what do we do about it? 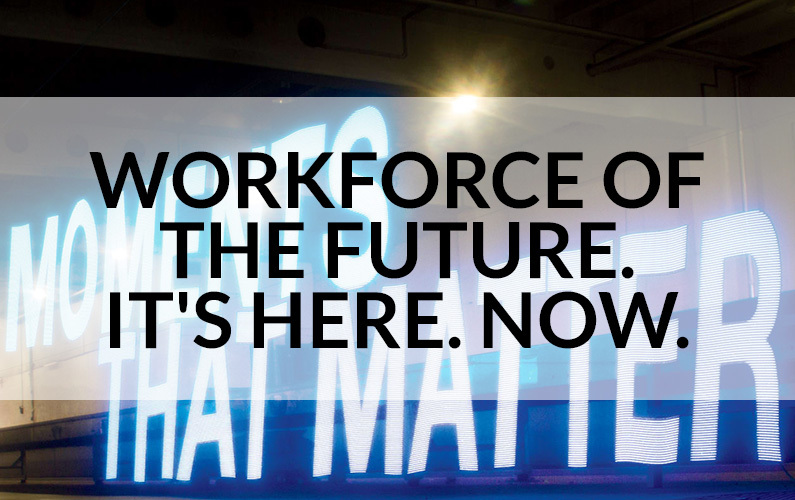 What will the resulting implications on my Workforce of the Future, and how do I prepare for it? Where they focus and how they execute – and with which partners to do so. So what, you say, this we know. How do we go beneath all the hand-waving we see and presentations we hear around these questions? And here it gets practical. Capabilities (skill-sets, behavioral profiles and technology assets) are the foundation of execution. No capabilities; no execution. No execution; no customers. No customers, no business. Pretty straight forward. Until it’s not. 20% of any organization’s capabilities drive roughly 70% of the value they deliver (go through this analysis… you’ll see). A changed competitive world requires a new 20% of capabilities critical to capture the 70% of new value. The question becomes: what is that new 20%, and what do you do about it… because: capabilities decay in competitive relevance over time as technologies advance, markets shift and customer expectations change. Therefore, the competitive game becomes—knowing what capabilities are needed to respond to which opportunities when and how to orchestrate them, with what quanta of capital allocation implications. So, what are the steps you take to answer these questions? Build a baseline capabilities model. What are the core capabilities that make up my business? What are the top “5” capabilities that drive the majority of value / cost / compliance issues, etc. What is the competitive decay rate of these core capabilities and how can we change that rate, or do we even want to? With what implications to do so? Building such rigor into such a model provides an algorithmic way to begin to understand the implication of different types of technology and their impacts on your business, with differing implications on your workforce of the future. Ask and answer the new strategic question. I passionately believe that competitive landscapes have changed for good. Merely witness the explosive growth rates and much higher market multiples of companies we all know—and many we will soon—across all industries. A changed competitive landscape requires a new strategic question. It requires discovering where is value being created… and destroyed… in the ecosystem and value chains in which you’re engaged. And what role do you play within it with what set of (new) capabilities to do so? Asking this leads you to look at your competitive landscape from an ecosystem perspective, rather than that of your business and even your industry. Doing so logically leads you to ask: What is my ecosystem? How is it changing? And critically: what are the specific clusters of capabilities catalyzing those changes? Clarify – and mobilize around – your New 20% of capabilities critical to capture 70% of new value. Answering the critical questions of technology impact on and workforce of the future in a rigorous, consistent way requires following these steps. Why? Because we need a rigorous method, resting on an analytic platform that allows us both to predict and to anticipate the different types of impacts that we will face. These critical strategic questions that executives need to answer are far too important to be left to the traditional strategists or strategy firms. We need less talk and more rigor into how to build predictive models, scenarios and analytic platforms to help us answer these questions. Why? Because the world has changed; it’s not going back.